This download (nzip9-setup.exe) was tested thoroughly and was found 100% clean. Click "Report Spyware" link on the top if you found this software contains any form of malware, including but not limited to: spyware, viruses, trojans and backdoors. IDAutomation Barcode Label Software 10.5 - Easy to use Barcode Label Design Printing Software with advanced features. miniMRP V2.0z - miniMRP is an Inventory Control and Assembly - Parts List Manager. 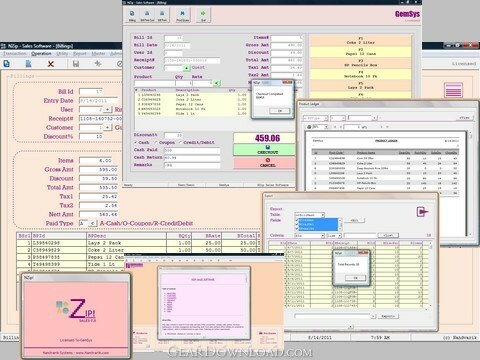 m9P Database 1.2 - Professional Database Builder and Manager for Individuals and Businesses! Check In/Out Organizer Pro 3.1 - Check In/Out manager: software for Windows.